A tangy, garlicky marinade made with lots of fresh oregano pairs perfectly with full-flavored lamb. 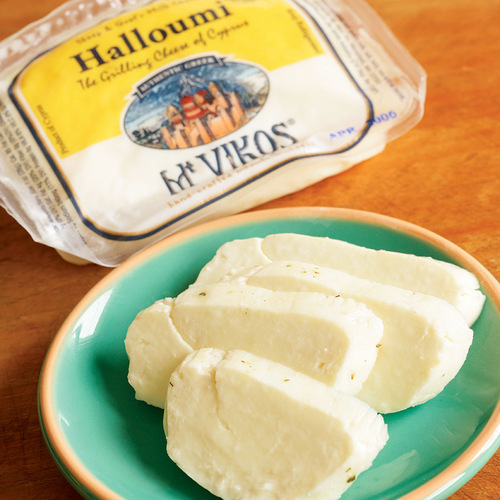 Unlike most cheeses, which melt at high heat, halloumi holds up well to grilling, so it makes a great addition to a kebab. Bring a 3-quart saucepan of well-salted water to a boil. 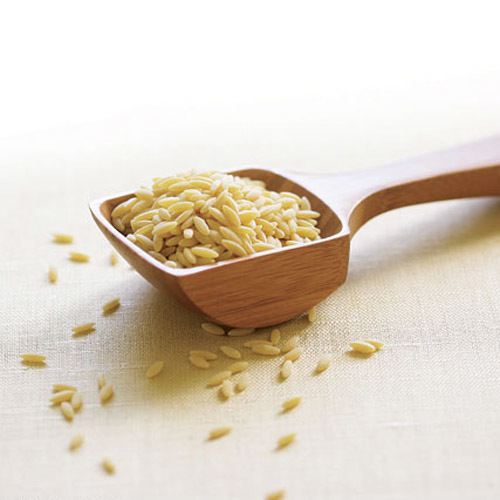 Boil the orzo according to package directions. Drain, rinse with cold water, and transfer to a medium bowl. Put the lamb and halloumi in a large bowl. In a small container with a lid, combine the olive oil, vinegar, oregano, garlic, red pepper flakes, 1 tsp. salt, and 1/2 tsp. pepper. 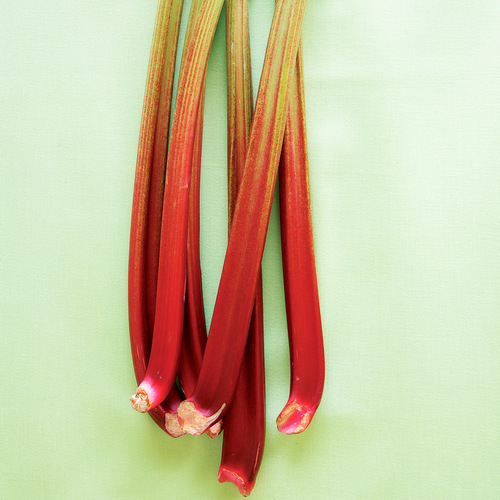 Cover tightly and shake vigorously. Toss the orzo with 1/3 cup of the mixture and pour the rest over the lamb and halloumi, tossing to coat. Thread 6 pieces of lamb, 2 pieces of halloumi, and 2 tomatoes onto each of eight 12-inch metal skewers, alternating a tomato and a piece of cheese between every 2 pieces of lamb. Grill, turning once, until the halloumi is browned and the lamb is pink in the center (cut into a piece to check), 4 to 6 minutes total. While the lamb is cooking, toss the scallions, mint, lemon juice, 1/2 tsp. salt, and 1/4 tsp. pepper with the orzo. Season to taste with more salt, pepper, and lemon juice. 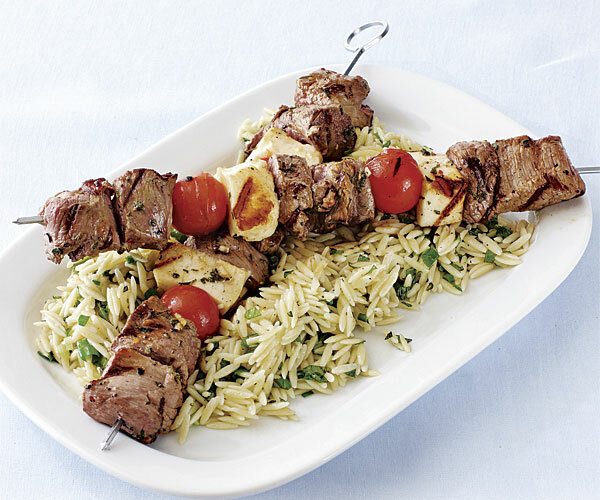 Serve the skewers with the orzo. 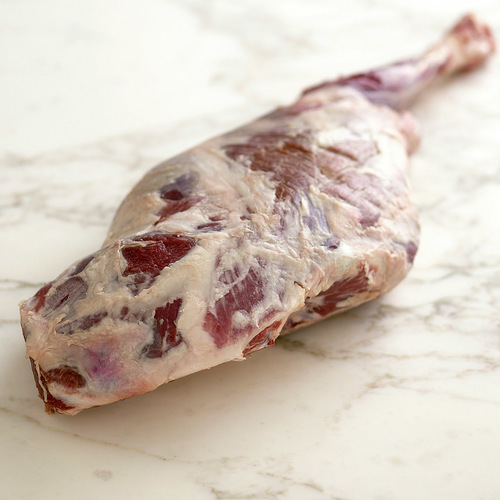 I have made this with both pork and lamb; both are good but the lamb is better! I use bamboo skewers as the cheese tends to split more with the larger skewers and fall off on the grill. This recipe has become a favorite. It also makes excellent leftovers! Excellent! Subbed pork tenderloin for the lamb to rave reviews from all! The haloumi was well received from those that were skeptical. Will make this again with lamb next time. The pasta salad was terrific as well. I fixed this for some good friends last night. Everyone loved it. I added more garlic than the recipe calls for- which I always do. The combination of the halloumi cheese and lamb was great. This is a keeper recipe. Quick, easy, delicious! I had some leftover halloumi and saw this recipe. Halloumi is a bit salty but it really worked with the lamb and the orzo salad. My husband and I thoroughly enjoyed the leftovers too.